Viral 'Bohemian Rhapsody' Clip Unleashes Debate: Does it Deserve Oscar Nomination for Best Film Editing? Despite the undeniable success of 'Bohemian Rhapsody' both in box-office sales and during the award season, the film always ends up tainted with controversy. Although much of the problem lies with the accusations of sexual assault made against Bryan Singer, the initial director of the film, this time the biopic has come under scrutiny due to its own merits in the Oscars category for Best Editing. The Queen biopic, which follows the story of 80s legend Freddie Mercury and his band, received five nominations in the Academy Awards, of which three are for technical achievement: Best Film Editing, Best Sound Editing, and Best Sound Mixing. 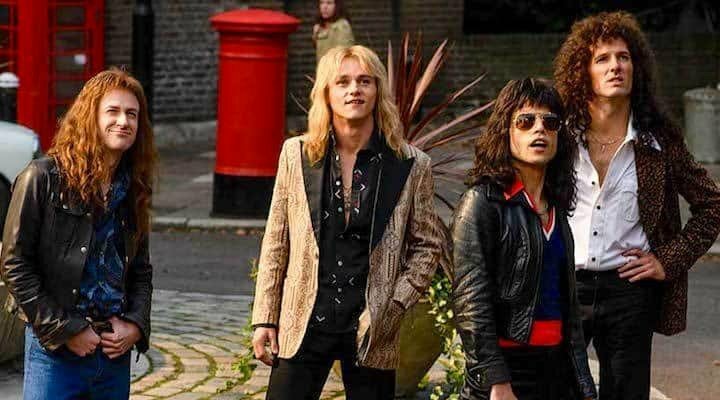 Recently a clip from the film has gone viral across social media, opening up the debate as to whether 'Bohemian Rhapsody' deserves this nomination for film editing. While many fans of the film believe that we should take into account the difficulties involved in the post-production process after Singer's exit, most Twitter users are of the opinion that the film doesn't even come close to the level of the other nominations. It is this scene of a conversation between the members of the band and Paul Pretender which has gone viral across the web due to its dizzying onslaught of frame changes. I can see how fellow editors might have voted for BOHEMIAN RHAPSODY's John Ottman almost out of sympathy ? for having to piece together the scraps of a catastrophic production, and making an unlikely hit out of it. Not sure the entire Academy will think the same way. 'Bohemian Rhapsody' recently won the award for the Best Editing of a Drama in the American Cinema Editors Awards; however, Guy Lodge, a freelance critic who works with media outlets such as Variety, suggested that the film won purely out of the other editors' pity for John Ottman's seemingly impossible task, and others seemed to agree. This is the only way it's making sense to me, a pity vote. This is, by far, one of the worst movies to ever be up for best picture. Its mere presence in anything but Best Actor (And even that is a stretch) cheapens the Oscars. Whoever voted for it this season needs to be kicked out of every awards body they're a part of. Good editing is when you don't notice the cuts. I loved this movie and was so engrossed I didn't notice the edits at all. It's only a problem when you over analyze out of context. Mission impossible - nice editing but way too long! But what do you think of the Oscar nomination? Does 'Bohemian Rhapsody' deserve its spot among the other nominees?